To support the community, Children’s National identified a growing need for additional pediatric behavioral health inpatient capacity. The space needs to embody healing in a safe, supportive environment catering to a wide age range, patients from four to 17 years. 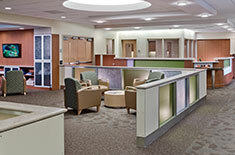 The Unit is designed to appeal to both patients and families with a predominantly private room model. 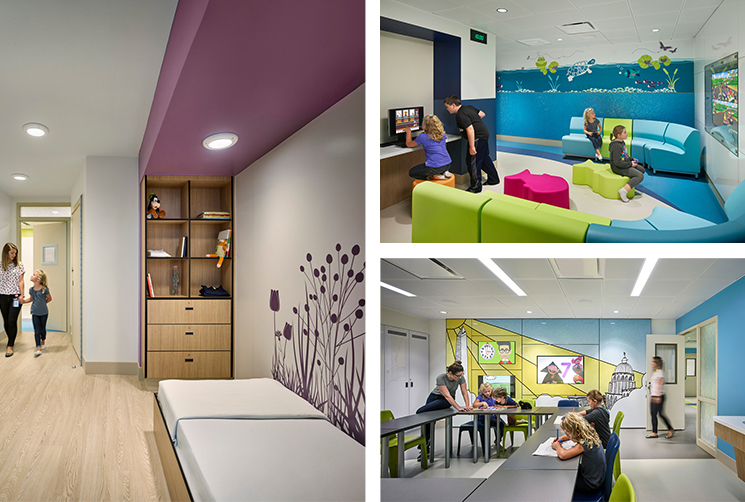 The rooms include a cocoon-like sleeping area to provide a cozy space for patients as well as several activities areas with exercise and positive distraction options. By focusing on the System’s goal of a multi-disciplinary approach, the space collocates support and treatment so everything patients and caregivers is in one secure location.